Takes on position vacated by Gautam Raghavan. 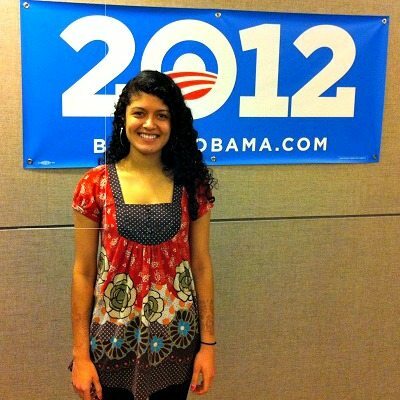 WASHINGTON, DC: Prominent lesbian, gay, bisexual, and transgender (LGBT) rights activist Aditi Hardikar has replaced Gautam Raghavan as the Associate Director of Public Engagement in the Office of Public Engagement, at the White House. Hardikar, who was earlier the director of the LGBT Leadership Council at the Democratic National Committee, will liaison with the LGBT community as well as the Asian American and Pacific Islanders communities, in her new role. Raghavan resigned from his position and recently joined the Gill Foundation. “In her role, she is the White House’s primary liaison to the Lesbian, Gay, Bisexual, and Transgender (LGBT) community and Asian American and Pacific Islander (AAPI) community,” a White House official said of Hardikar’s new assignment. Kardikar has also served as the LGBT Finance Director for the Presidential Inaugural Committee in 2013, and the Deputy Director of LGBT Voter Outreach and LGBT Finance for the 2012 Obama-Biden President Campaign. Prior to that, she worked for the Center for American Progress in Washington. She also served as a White House intern in the Office of Public Engagement, where she worked on LGBT issues. A graduate of the University of Michigan-Ann Arbor, she earned her BA in Economics and Political Science. Raghavan welcomed the appointment of Hardikar to the White House.